I have written a number of articles about DUI’s in general, and 2nd Offense DUI’s in particular. 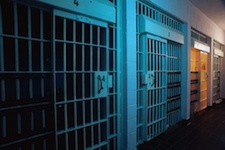 This article will focus on only one, and by far the most important aspect of 2nd Offense DUI cases: Staying out of Jail. My DUI Practice involves handling loads or 1st Offense cases, plenty of 2nd Offense cases, and a good share of 3rd Offense (Felony) cases. Handling a typical 2nd Offense case is often more challenging than handling either a 1st or a 3rd Offense. The reason for this is quite simple; staying out of Jail in a 1st Offense case is pretty much in the bag in all but the rarest of circumstances, and staying out of Jail in a 3rd Offense case (assuming its not plea-bargained to a 2nd Offense case) is legally impossible, short of going to Trial and being acquitted of the charge. A 2nd Offense case puts a person as close as they can get to Jail, without any legal requirement that they actually be put in. To be clear, the first inquiry that should be made by a Lawyer handling any DUI case is whether or not there is some way to have the case “knocked out.” This means looking closely at the Police Stop, and at the method by which any breath or blood evidence was collected and/or analyzed. Statistically speaking, and all opinions and “sales pitches” aside, those cases in which the evidence can be successfully challenged to the point of getting a DUI case dismissed are far and away the exception, and not the rule. The vast majority of DUI Arrests are not going to be thrown out of Court, dismissed or beaten on some technicality. This means that, unless a person gets really lucky, and the case is so compromised that the Judge decides to throw it out, it will ultimately be up to the Judge to decide what to do with a 2nd Offender. And you cannot escape the sinking feeling that, whatever kind of Sentence a person received for their 1st Offense, it apparently wasn’t enough. This puts a person standing before the Judge right in the crosshairs of a Jail Sentence. In another group of articles about 2nd Offense DUI and the issue of a Drinking Problem, I pointed out that a person facing a 2nd DUI needs to understand that the Law presumes, and the Judicial system perceives them as having a problem. A 2nd Offense within 7 years is considered a “habitual offender” violation and results in the REVOCATION, and not merely the Suspension, of the Driver’s License for at least 1 year, with no possibility of Appeal. Part of that “habitual offender” status is the additional legal requirement that a person with a 2nd DUI within 7 years be Court Ordered into some kind of Counseling and/or Treatment. And let’s be clear; the Law REQUIRES Counseling or Treatment, it does not merely suggest it. Even more important than the clear mandate of the Law is how the Judicial System perceives the 2nd Offender. The choice of words here is important, because this goes beyond just the Judge, and includes everyone in the DUI process. Anyone who has had a prior offense remembers that they had to take a written alcohol evaluation test and have an interview with a Probation Officer prior to being Sentenced by the Judge. What may not be so clear to someone whose familiarity with the process is limited to their own case is that, in pretty much all cases, with very few exceptions, whatever the Judge Orders as a Sentence is pretty much exactly what was recommended by the Probation Department. There’s practically a science behind this, but the fact is, in virtually every DUI case anywhere (at least in Michigan), the Sentencing recommendation of the Probation Department can safely be considered the “blueprint” or “script” that will be followed by the Court. Clearly, then, how a 2nd Offender is perceived by the Probation Department, whose Sentencing Recommendation amounts to what the Judge is going to Order anyway, is every bit as important as what the Judge thinks. And between those 2 parties, nothing else really matters. In other words, it doesn’t matter if a person’s friends all agree that they aren’t a big drinker. Those friends won’t be evaluating and Sentencing them. If there’s a time to make the best possible impression ever, it’s at this point. Therefore, making that “good impression” is a large part of what is meant by that “good work” mentioned earlier. In that regard, becoming proactively involved in the right kind of Counseling before the case is ever resolved in Court is very important. Beyond having a huge payoff in the Criminal case, every minute invested in such Counseling will have an equally large payoff when a person becomes eligible, in a year, for a Driver’s License Restoration Appeal. About the last thing anyone should do in a 2nd Offense DUI is nothing. In other words, simply showing up to Court on the day of Sentencing, having not begun any kind of Counseling or Treatment, is not a smart move. I shake my head in disbelief as I sit in Court and watch other cases where the person stands before the Judge with some Lawyer and tells the Judge something like “I know I have a problem, and I want to get help with it.” Can you say “a day late, and a dollar short?” Worse yet is the Lawyer who stands next to the poor sap and says something like “My Client knows he (or she) has a problem, and is willing to do what it takes to bring it under control.” Wow. Thanks for that monumental and timely revelation, Counselor. The facts of any particular case are intertwined with making the right Counseling or Treatment plans. Whatever else, a person with a prior, low BAC DUI, and a second, low BAC DUI does not create the same impression as does a person whose BAC in the 2nd case is over .20, or who has been involved in an accident. Accordingly, not everyone needs to undergo the same intensity of Counseling. This is particularly important because different programs can have widely different costs, and widely different attendance requirements. Some Counseling programs can be much less expensive and intrusive, and require attendance 1 time per week, or even once every other week. Other, more intense programs can have a person showing up (and paying) 3 times per week. It goes without saying that no one wants to pay any more, or go to any more sessions of Counseling or Treatment, than they have to. With the “right work,” most 2nd Offense DUI Clients can be kept out of Jail. There are certain Courts, however, in the Metro-Detroit area, where staying out of Jail in a 2nd Offense DUI is unlikely. Principal amongst them is the 48th District Court in Bloomfield Hills, and the 52-3 District Court in Rochester Hills. Anyone with a case in either of those Courts will soon learn from their inquiries that these are some brutally tough places in which to face a 2nd Offense DUI. Even so, the importance of taking the best proactive measures is not diminished. In just about every Macomb County Court, and in all of those in Wayne County in which I practice, staying out of Jail can be accomplished if a person comes in willing to accept how the Judicial System perceives them and undertake an intelligent plan of action. The same holds true for most of the Oakland County Courts, as well. And if you think about it, anyone whose first concern is staying out of Jail should be ready and willing to implement such a plan.